Tummy tuck surgery, scientifically known as abdominoplasty, aims at removing excess fat or skin from around the abdomen, thereby flattening it, and improves the abdominal profile by tightening the weakened muscle around it. Though abdominoplasty is dissimilar to liposuction, you can still opt for a liposuction along with tummy tuck surgery. Women planning to get pregnant should avoid abdominoplasty since it loosens the abdomen muscles tightened during the surgery. Moreover, tummy tuck surgery should be a person’s last resort, and people looking to lose weight shouldn’t opt for this surgery. Although the results are widely appreciated, scarring is a common complication. Doctors might prescribe creams and ointments to fade the scars slightly but they can’t be removed completely. 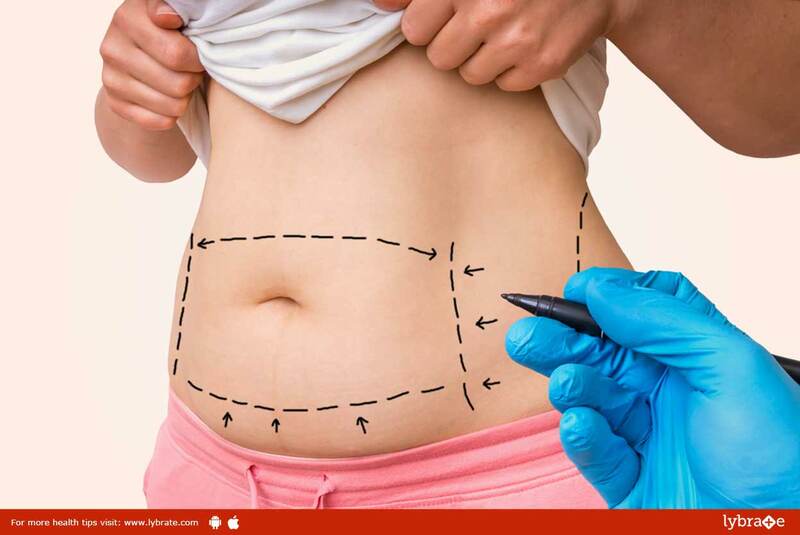 Complete Abdominoplasty- In such a surgery, the surgeon contours the skin, tissue and muscles as needed after cutting the abdomen from one side of the hipbone to the other. The patient also requires drainage tubes under his or her skin for a few days. Partial or Mini Abdominoplasty- This surgery is done on those whose fat deposits lie under the navel. Unlike Complete Abdominoplasty, the navel need not be moved during this surgery, and requires only a couple of hours to be completed. Smokers need to quit smoking at least two weeks before the surgery and then stick to it since nicotine causes complications and slows the healing process. You also need to eat well-balanced meals to heal properly. Lastly, ensure that you take the medications as and when prescribed, wear loose clothing and use ice packs and petroleum jelly regularly. After the surgery, you must limit any taxing work for about six weeks, and take a one month leave from work for the speedy recovery without any complications. Dieting properly and exercising regularly for at least one month after the surgery has taken place can help you maintain the results.